Innovolt | Whale Pods Marketing Inc. Founded in 2005, Innovolt manufactures next-generation power protection products for commercial, residential, industrial, OEM and utility applications. Based in Atlanta GA, the company has rapidly grown its global delivery capability to commercialize its revolutionary, cutting-edge, power protection products. 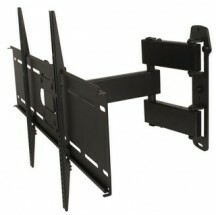 Innovolt has revolutionized the industry by offering power monitoring and power protection in one low-cost device. Innovolt products are microprocessor-based, enabling diagnostics, asset optimization and energy conservation essential for 21st century electronics in an increasingly digital and eco-friendly world. 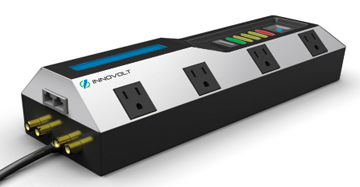 All Innovolt power protection products are based on patent pending CVSS ™ (Current & Voltage Surge Suppressor) technology that effectively protects against 99% of all measured electrical disturbances (Source: www.i-grid.com). By comparison, surge protectors and power filters currently on the market utilize TVSS (Transient Voltage Surge Suppressor) technology and only protect against 1% of measured disturbances (short duration voltage surges) and provide no protection from current (amperage) events. One important advancement with CVSS ™ technology is the incorporation of microprocessors that provide predictive modeling, allowing the Innovolt device to anticipate and pro act to disturbances like current surges. Unlike many other surge protectors Innovolt also protects against extended over voltage, under voltage, and current inrush. CVSS ™ also provides for power monitoring and advanced diagnostics that allow all Innovolt products to capture disturbance data that can be uploaded to the hand held Power Doctor tool and then communicated to a PC for analysis and reporting.